Mere words can not ever do justice to the beauty of this amazing phenomenon, but here is my attempt. I am taken back to a hot July night in 1973, at the summer camp where I worked as a counsellor. The staff was gathered in the screened porch munching on the customary peanut butter and toast, having just left our cabins with the kids settling down in their beds. Guitars were playing and we were singing James Taylor songs when the Trip Hut and Nature Area guys burst through the door. "Ya gotta get out here, The Northern Lights are just amazing!" they announced excitedly. Leaving the gaiety of the snack area, we filed out and our mood immediately changed to a calm and hushed tone. We stood transfixed on the hill overlooking the lake, staring up in wonder. What we beheld was a beauty unparalleled to any other. The red, blue, purple and orange were unusually rich and vivid. We were stunned. They were more active and brilliant than any of us had ever seen. It was a purely magical and spiritual moment, and we all felt that we had witnessed The Creator's work so closely, that we were an interwoven part of His Tapestry. The lights danced for us and the curtains shimmered like a rainbow for two hours until, they quietly dimmed and slipped behind the stage, bowing their goodbyes. How humbled, yet honoured we were that special night. Several times since, when all the summer camp people have seen each other, we have recalled that night with a, "Do you remember when..?" It's almost as if we still can't quite believe what we had seen years ago. And indeed, how could we ever forget? If you have never seen The Aurora Borealis, I so hope you will be lucky enough to see them for yourself. I saw a spectacular display back in 1989 or 1990 in the Cornwall area. Very bright and colourful. I agree that people should go out and see one. well, I have not seen the aurora much, but I am reminded of that comet 8 or 10 years ago, was it Hale Bopp? It was in the sky for a few days in a row, unbelieveable. It is really amazing and your vivid description is beautifully written! I haven't seen the northern lights yet and I really hope I could be lucky enough to see it myself, one day. what fennymun said! I loved your description. It has long been a goal of mine to see the northern (or southern) lights. Thanks for the lovely photos. Now I have yet another goal in life. I have only seen it on the science channel.I think it is an awesome sight would love to see it in real life.Love the song. Absolutely EXTRAORDINARY! It is one my life dreams to have this experience. I get so frustrated when life interrupts my connecting with blog friends. It's posts like this that make losing touch all the worse! Have an idea brewing; need some input first though. Do you think if I do a Friends of Kilroy Blog Carnival you would play along? Posting and inviting your links to post? Look forward to connect with you again. 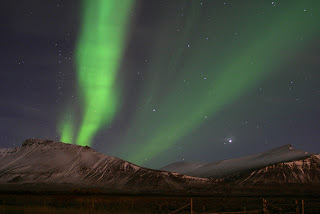 Seeing the Northern Lights is one of those things that makes me think that there might really be magic in this world. Annelisa: Yes, I'm lucky to catch them when they were extremely active and colourful. I hope you see them some day! Richard: They are truly stunning, aren't they? You can't quite explain or describe them. You are lucky to have seen them too. Fennymun: Thanks! It was challenging trying to describe them. I hope you see them. BoB: Thanks! You just have to see them! You won't easily forget the thrill. Naked Tapdancer: Thanks! I can't believe how many people haven't seen them! Starry Nights: (Glad that you like my song!) I so hope you get to see this spectacle some day soon. Kilroy: You made it this round! Yes, well, life happens and we all know that here in Blogland. Imagine, some things really are more important than blogging!! You always have an idea brewing! I'll check it out. Meno: Absolutely! We were all in a magical trance that night, I'll tell ya! 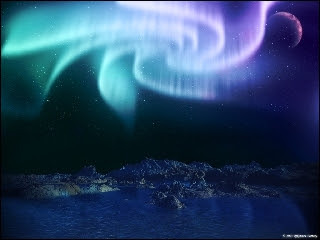 I would LOVE to see the Aurora Borealis someday. From pictures and movies I've seen, they look remarkably beautiful, magically captivating. It is my understanding that after the Battle of Fredricksburg Virginia during the Civil War that there was a spectacular display over the Battlefield- avery rare sight in Viginia are the Northern Lights- and it was a freezing cold night December 13 i believe; can you imagine dying underneath a display such as this? They say several thousand did that night. Oh and don't you just know that when I lived on Adak my behind was out side at night just alookin for it and NEVER saw it!! Abigail: They are indeed! No wonder great legends were told about this by the Arctic Native People. Steve: Didn't know that historical fact! It does seem rather eerily connected, especially if they are not commonly seen there! Old Lady: Unusual! It's a mystery where they decide tp appear! I never thought they were seen so much in July, I'd always thought fall and winter. Losses for the campaign were approximately 12,000 for the Union and 6000 for the Confederacy. Lincoln made what turned out to be a prophetic remark,saying with a week of Fredericksburg, he would win the war by attrition. A year and a half later, Grant would give Lincoln his week of Fredericksburg. But those lights are beautiful, no? Isn't it nice to have scenes like this permanently etched in your memory? I've had a few amazing experiences with the Aurora Borealis...always preceded by someone breathlessly rushing into wherever I'm at and exclaiming, "Ohmygod, you have to come outside NOW and see the Northern Lights!" Absolutely extraordinarily amazing! If your description did not do the event justice, it came about as close as humanly possible. Thanks for sharing this wonderful moment. I hope to see this for myself one day. How amazing to experience something so beautiful. I hope I get that experience sometime in this life. Steve: You're an amazing History Buff! They are magnificent! Barbara: One of those Kodak moments frozen on the retina! Jocelyn: Ah, then you know EXACTLY what I experienced! Cool! David: Oh thanks, David! It was difficult in some ways to find the right words. I hope you see them! Gewels: You are so welcome. I wish I could show you what I saw that night! Maybe one day, my true love and I will be so fortunate as you to stand beneath the sky dancers and watch in wonder. But now...the practical matters.....where is that true love hiding?? I've never seen them! But it is a life goal. Where the best place to see them from? RDG: Maybe your true love is where the Northern Lights are! (see below in Colleen's comment!) Maybe he is Icelandic or Finnish! They are magical you know! Book it (the trip) and he will come! Looking forward to hearing from you...come out of hifing soon! Colleen: I got this from the link below, but Finland, Iceland and Alaska also boast of their many sightings. "Yellowknife is the best location in the world for viewing the aurora borealis. As the nights grow longer, the green, red and mauve lights of aurora borealis, or northern lights, are absolutely brilliant in their dance across the sky." I was in cottage country about 3 hours north of Toronto. I hope you see them. Sorry I missed this one - it's hard to catch up sometimes you know. The Northern Lights are often visible from my backyard. No matter how many times I witness them.. the wonder of them always has me pause. Renny: I guess maybe I hadn't realized that or forgot. I bet you have seen a fantastic display many times! Coll: Oh, how I envy you! You must be out of the city lights! Mystic: You're welcome! I hope you see them some dy! Im from Edmonton, Alberta found this site thru a Technorati. Northern Lights I often seeing them from my backyard its very beautiful and the colors are amazing! I hope to see them again tonight. Auroramist: Thanks. You are so lucky to see them so often!